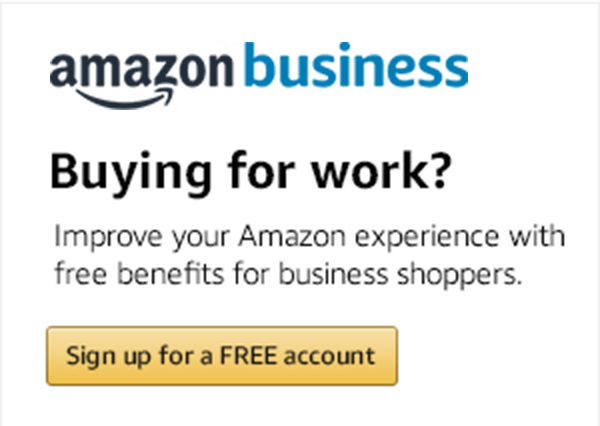 Millions of customers love the Amazon shopping experience and use it every day. Yet, once at work, their purchasing systems don’t offer the same ease and convenience that they’ve come to expect at home. Our customers tell us they like many aspects of Amazon search, personalization, selection, pricing, recommendations, delivery, and, most importantly, customer service. At Amazon Business, we are continuously innovating these and new features to suit the unique needs of businesses. For example, we modified our search and personalization algorithms, added business-only selection and pricing, enabled customers to set their business policy and approval preferences, and improved our buying experience and payment methods. To share how we shaped this technology to meet business needs, we’re publishing a series of blogs. The first, published on Spend Matters, starts with the personalization Amazon Business enables for small and large businesses alike to help get control of their discretionary, employee-initiated spend (also known as tail spend). By turning procurement rules into easy-to-follow visual signposts for buyers, organizations boost compliance and reduce time spent answering buyer questions. This series will go deeper into how you can reduce costs, improve operational efficiency and delight employees with the Amazon buying experience they already love at home – now for work.